As has been the case for my decades-long career in entrepreneurship...I have only focused on the start-up phase of new ideas. I take it from inception to proof -of-concept and then move on. At this moment in time, I have engineered a handful of new start-ups and am looking for Marketing Partners for each. The most recent of these ventures is the Entrepreneurs Credit Card Program, which was launched a mere 60 days ago. The Card may well become the best resource devised to assist the newly minted entrepreneurial idea or the quickest, most affordable expansion capital for the existing business today. It comes with an up to $100,000 credit line and we have produced well over $1 million in approvals as "proof of concept" to date. With a small cadre of seasoned Marketing partners, especially in the FinTech world, it is my belief that this product will find ready acceptance in any number of verticals and expand exponentially. The "bounty" is very generous and in this revitalized climate of entrepreneurial fervor, the time is right for our offering. My partner and I produced a little video (for $50) attached to my url and I posted it on my Linked In last night. An attorney friend saw it, wrote me to ask if I thought it would work for his client that needed $50k, I sent him the link, the client applied and was instantly approved for $50k-$75k by our underwriter. Our gross commissions from the underwriter are betweeen $2500-$3750, payable upon acceptance and receipt of funding in around 4 weeks from the approval. Now...that's what I call a great ROI! What I am looking for are Marketing Gurus to partner up with us for a nice share of our commissions for successfully funded applications. It is a seamless process, an approval decision and the amount qualified for is often available 30 seconds after pressing the application button and the underwriter takes it from there. Here's my offer right now...generate applicants to apply to my link and you will earn 25% of the commissions coming to our company. The average amount approved is $50k, which will net you $625 for simply referring our link. We can track any campaign with a separate url/CRM which is updated automatically. Although my original entry into the little known engineering field of cost segregation dates back to 2006, the expansion of marketing brand new sectors of this powerful process makes this a very significant opportunity for the right Marketing Partnerships. This is a totally "Blue Ocean" type of situation with only 5% of eligible commercial property owners taking advantage of the extraordinary cash flow benefits of this 20 year old tax-saving strategy. 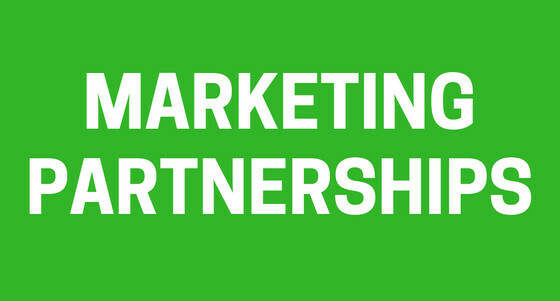 There are ample commission-able earnings to share with the right Marketing Partners. Who would ever guess that there is a select, yet thriving market of arranging private aviation transport for our pampered pets, with significant earnings possible for those Marketing Partners that bring in this business? Access to those clients who forsake commercial aviation when traveling with their beloved pets, organizations that host show pets in events around the world are examples of possible clientele for this unique niche business. The "tickets" are high, as are the earnings potential for the Marketing Partners involved.